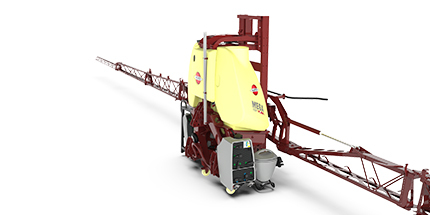 All primary functions needed to operate the sprayer when filling or cleaning have been built into the centrally located manifold system. 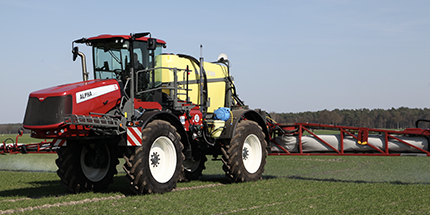 The logical position of the colourcoded handles together with the easy-to-read colour-coded icons makes the system very easy to understand and operate. 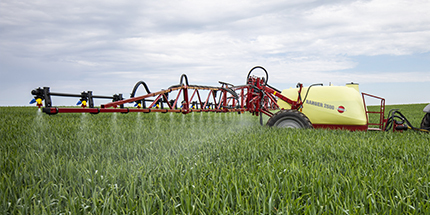 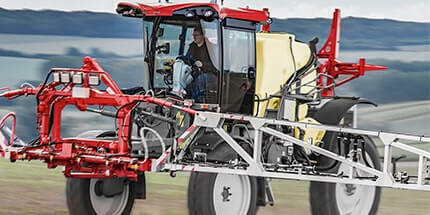 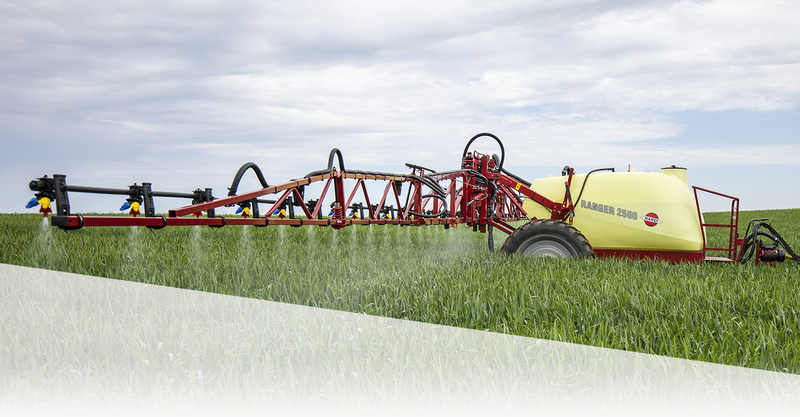 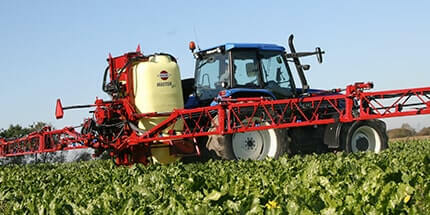 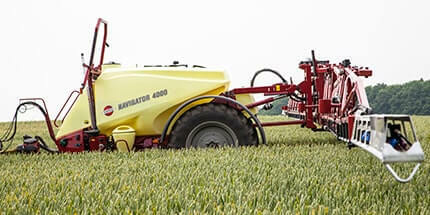 This greatly reduces start-up and operation time of the sprayer and lessens the risk of operator errors. 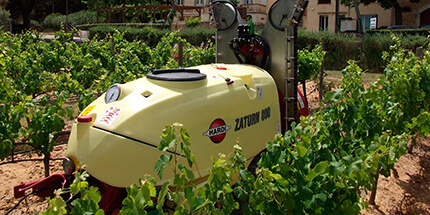 The RANGER has an optional suction filter. 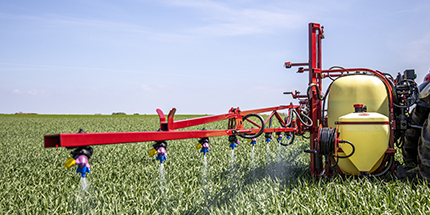 The unique HARDI S fittings make service and maintenance quick and easy. 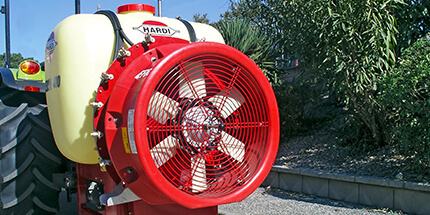 The HARDI CycloneFilter is a unique self-cleaning pressure filter using a high-speed cyclone for additional cleaning action. 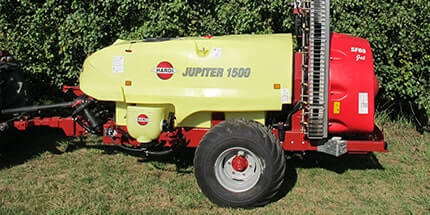 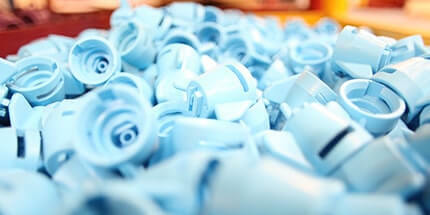 The cyclone action increases the cleaning capacity of the filter significantly. 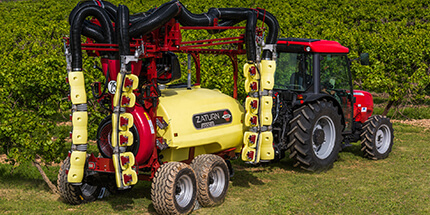 The cyclone created inside the filter increases the speed of the liquid against the filter screen, thereby increasing the effectiveness of the self-cleaning action. 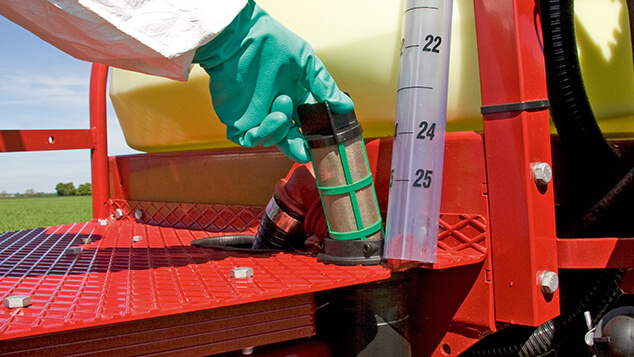 The filter is positioned so that spill is avoided at inspection. 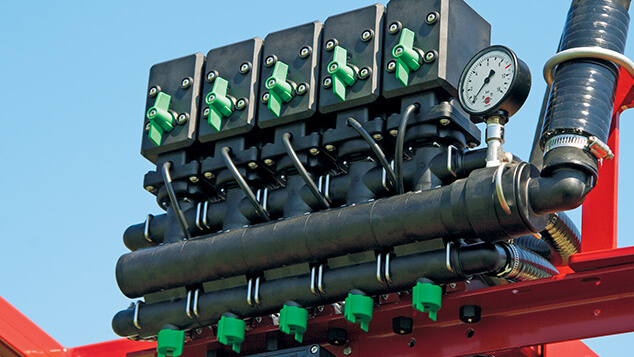 The EVC is a modular system with a positive drive motor valve for each section. 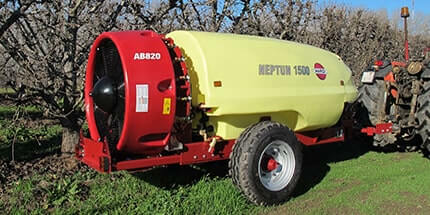 The durable motors ensure long life with low maintenance. 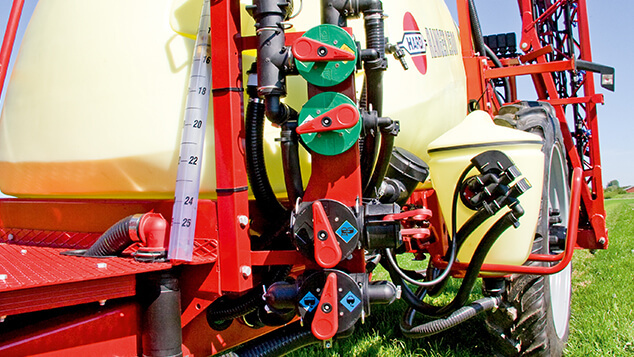 When the section is switched to OFF, the pressure in the line to the nozzles is relieved. 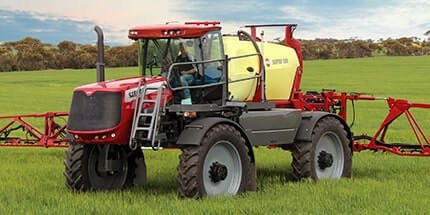 This results in instant shut-off at the nozzles. 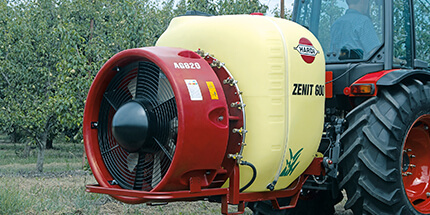 This system ensures that the spraying pressure remains constant when sections are opened or closed. 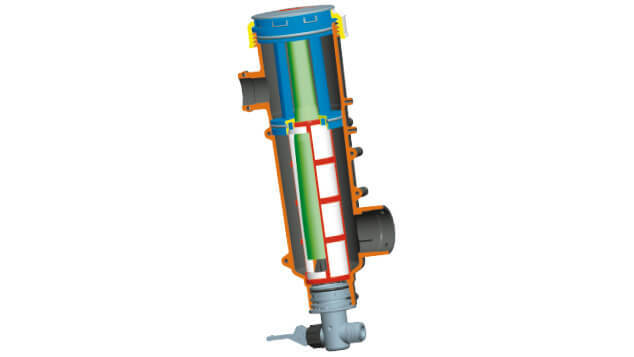 The pressure regulation system is based on a high capacity bypass valve. 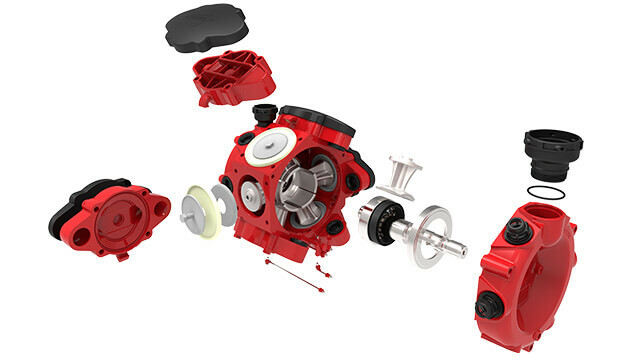 A bleed line in the valve ensures constant flushing to prevent residue build-up in the valve. 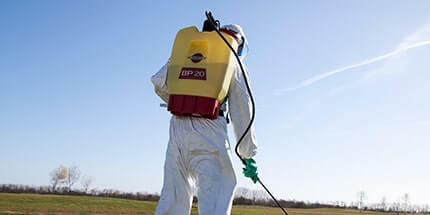 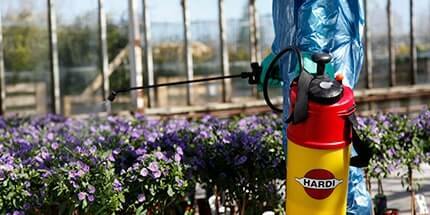 This minimises the risk of contamination when changing pesticides. 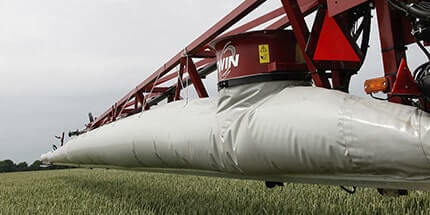 A “finish-the-job” feature, if an infield problem occurs. 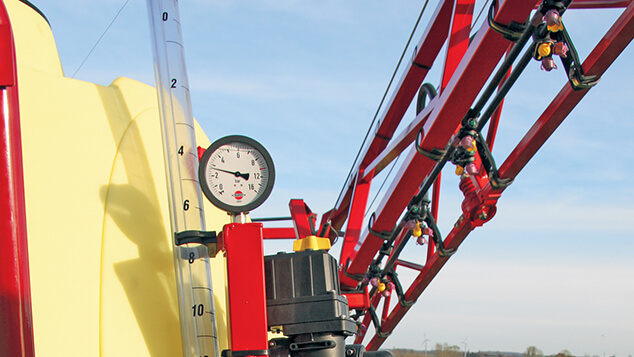 A spring-loaded bracket with transport lock makes it easy to change from field to filling position. 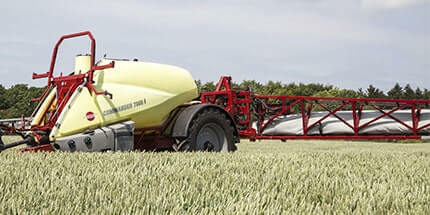 The filling position is approx 95 cm from the ground.